Although tablets may not have had that big of a year in 2016 when compared to years past, plenty of really solid options were still released. Apple introduced a 9.7-inch model of the iPad Pro, Amazon refreshed the Fire HD 8, and Asus kicked out some incredibly solid products with the ZenPad Z8 and 3S 10. The hype and craze for tablets has been on a rather steady decline for some time now, but as you can see, that hasn’t stopped numerous manufacturers from continuing to offer great choices if you want a 7, 8, or 10-inch slate for consuming media and even getting some productivity work done. Among these manufacturers is Huawei. The company released the MediaPad M3 in the United States back in November of this year, and it’s a sign of much more to come with Huawei’s big plans to push into the US market even more come 2017. The Huawei brand is still relatively unknown to most people throughout the US, and Huawei is hoping to start to change that with the M3. The MediaPad M3 is all about style, power, and value. Huawei has crafted an incredibly good-looking 8-inch tablet with the M3, and almost all of its specs are quite high-end as well. Numerous outlets are calling the M3 the best Android alternative to Apple’s iPad Mini 4, and while there’s no doubt that the MediaPad M3 looks promising on paper, does it truly live up to those claims? 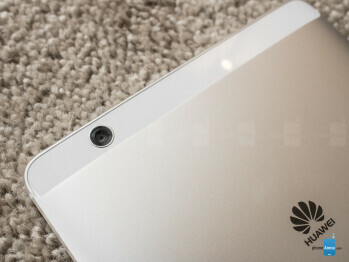 The tablet features an 8.4-inch display, and Huawei decided to stick with a 16:9 aspect ratio. While this does make the MediaPad M3 a bit taller than some of its competitors, it also makes it considerably narrower. It’s quite possible to grip the entirety of the M3 in one hand, and while you certainly won’t be able to use the device one-handed, it’s a testament to Huawei’s ability to cram so much power and tech into a rather compact design. Speaking of its compact design, the M3 measures in at just 7.3mm thick and features a weight of 310g. 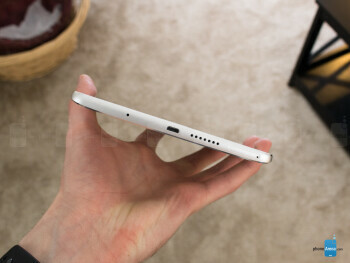 This means that the MediaPad M3 is a bit thicker and heavier than the iPad Mini 4 (6.1mm thickness and 298.8g weight), and it results in a gadget that’s still incredibly thin and is light enough to where it won’t wear your hand down but also doesn’t feel cheaply-made. In fact, the phrase “cheaply made” isn’t even remotely associated with the M3. 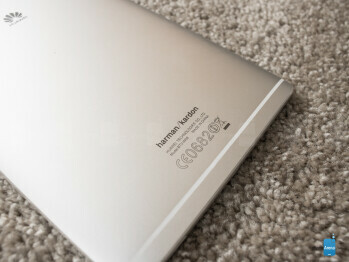 The tablet is crafted out of aluminum and glass, making for a product that feels premium and high-end. The back of the M3 is about 95-percent aluminum with a strip of glass across the top where the rear-facing camera lies. This creates for a look that’s somewhat reminiscent to that of the Nexus 6P, and it’s one that I hope Huawei sticks to for some time. The physical power/lock button and volume rocker are also made out of that same aluminum material, and while it certainly is a nice touch and keeps the M3 looking as sleek as possible, the actual clicky-ness leaves a bit to be desired. I never had any issues getting the buttons to do what I commanded of them, but I would have liked to see a bit more tactical response. On-screen navigation buttons are used on the M3, but below the screen is where the tablet’s fingerprint sensor lives. Setting up the scanner upon first use was a very speedy process, and I never experienced any issues while using the scanner to unlock the tablet while testing it out. It’s very fast and accurate, and it really is a great addition to have. And, last but not least, a small LED notification light lives to the left of the front-facing camera. The light flashes when a new notification has arrived on the M3, and seeing as how this is a feature that’s becoming increasingly rare on tablets and smartphones, I really enjoyed its presence on the MediaPad. As I already mentioned above, the MediaMad M3 features an 8.4-inch display with an aspect ratio of 16:9. The 4:3 ratio is arguably better for tasks such as browsing the web and reading e-books, but the 16:9 one here on the M3 is still supreme for doing things like watching videos and playing some games. Huawei used an IPS LCD panel for the M3’s display, and it boasts an impressive resolution of 2560 x 1600. This creates for a count of 359 pixels-per-inch, and overall, I really don’t have any qualms with how the screen on the M3 looks. Colors are nice and vibrant, text is crisp, and whites are extremely stark. My only real complaint would be that the screen doesn’t get quite as bright as I would have liked, but seeing as how this is something you’re going to be using indoors the majority of the time, it shouldn’t prove to be that big of an issue. 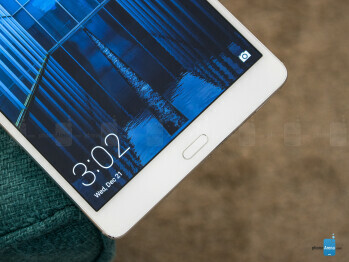 As you’ll see throughout this review, the Huawei MediaPad M3 is an overall solid tablet. However, one of its biggest weaknesses has to do with its interface. The tablet is running Android 6.0 Marshmallow with EMUI 4.1 layered over it, and that creates for a software situation that’s a bit less than ideal. Android Marshmallow on its own is perfectly fine, but it’s that pairing with EMUI that drags that M3 down. This is only my second time using a device with Huawei’s EMUI, and it reminded me as to just why I have such a strong distaste for this take on Android. There’s no app drawer and no ability to add one (save for downloading a third-party launcher), the timeline style of the notification menu is not at all practical, and various animations throughout the UI tended to get hung up from time to time. A lot of the pain points that I have with the MediaPad M3’s software look to have been resolved with Android Nougat and EMUI 5.0, but until the M3 gets an update, we’re left with a software package that feels incredibly dated. Those issues aside, it’s only fair to point out some of the benefits that this current form of EMUI does have to offer. You can switch around the placement of the on-screen navigation buttons so that they’re in the spot that’s most comfortable for you, and you can even add an additional toggle for bringing down your notification panel. 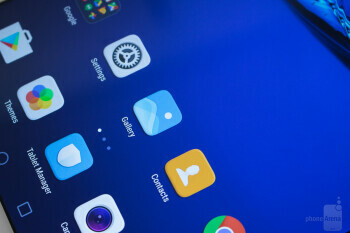 Huawei has also included something that they call the “Floating dock”, and this is essentially a floating navigation bar that pops out whenever you tap on the on-screen circle that you can position on any side of the screen. These little tweaks here and there do add a bit of functionality to the MediaPad M3 that you don’t see with stock Android, and once the update to EMUI 5.0 arrives, the interface and software experience with the M3 will be worlds better. However, with no confirmed date from Huawei as to when that update will actually happen, we’re sort of left waiting in the dark on that one. In regards to the processing package, we aren’t looking at the latest and greatest silicon from Qualcomm or MediaTek. 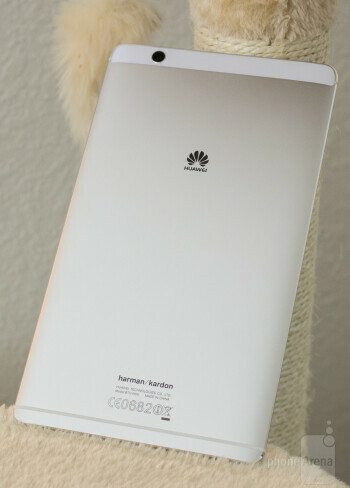 Instead, the M3 boasts Huawei’s own HiSilicon Kirin 950 processor. The Kirin 950 is an octa-core chipset that’s clocked at 2.3GHz. The Mali-T880 MP4 makes up the GPU, and 4GB of RAM help to ensure that you can multi-task with ease. As a whole, performance on the MediaPad M3 is very good. Apps open quickly, web browsing is smooth, and having numerous apps open at once don’t slow down the M3 at all. Basically, the M3 is exceptional when it comes to lightweight to average use. However, when it came time to really put the M3 through its paces, I was left feeling a bit confused. When conducting all of the processor and performance benchmark tests, the M3 really did shine. 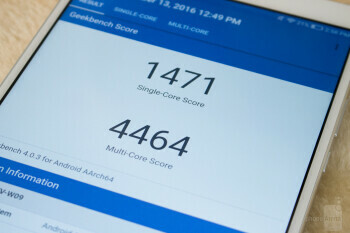 Its single-core score on Geekbench 4 was 1542, and its multi-core performance got a score of 4744. To put things into perspective, the Google Pixel and its Snapdragon 821 CPU scored 1525 and 4148 for its single-core and multi-core performance respectively. With the MediaPad M3 scoring higher for both single and multi-core performance than one of the fastest phones of 2016, I was expecting tremendous things from this gadget. 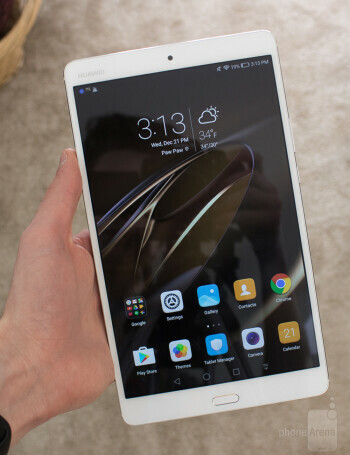 Huawei’s MediaPad M3 is great at browsing the web, using apps such as Facebook, Twitter, Amazon, etc., and streaming 1440p video on YouTube. I also downloaded and played Mortal Combat X and Modern Combat 5, and while both games were certainly playable, the performance of them seemed a bit lacking when compared to the Asus ZenPad 3S 10 that I previously reviewed. It took quite a bit longer for these games to actually open up on the MediaPad M3, and numerous in-game animations appeared noticeably slower and more jittery than I was expecting. This was definitely disappointing considering how high the M3 scored in its benchmark tests, and my guess would be that, while the Kirin 950 certainly is a very powerful processing package on its own, it’s not properly optimized for as many apps and games as it should be. This is still a fast tablet for most use cases, but there are certain situations here and there where the MediaPad M3 feels quite a bit slower than it should. And, unfortunately, those situations do detract quite a bit from the joy of using the tablet. As for storage, the M3 comes equipped with an internal capacity of either 32 or 64GB. That should prove to be more than plenty of space for most people, but if you find your storage needs to be even more intense than what the tablet is capable of out of the box, you can add an additional 128GB thanks to support for microSD cards. On the connectivity side of things, the MediaPad M3 is fairly well-stocked. Wi-Fi bands 802.11 a/b/g/n/ac are all supported, as well as Bluetooth 4.1, and GPS. There are certain models of the M3 that support 3G and LTE networks, but the model that’s being sold here in the US does not support such connectivity options. The one downside for the M3’s connectivity options is its lack of USB Type-C. There isn’t necessarily anything wrong with microUSB, but with Type-C becoming more and more prevalent in our world, using a device in late 2016 with a microUSB port does feel a bit outdated. This is the third tablet that I’ve reviewed this year, and with the other two devices I’ve previously reviewed, I’ve given this little preface - I have not and still do not understand the need for cameras on tablets. I’ve never actually found myself needing to use one, but since we’re professionals here, it’s only right that we still give cameras on tablets the full review treatment as well. 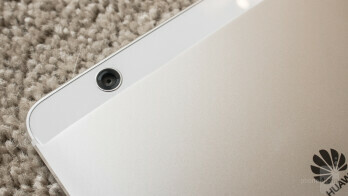 In the case of the MediaPad M3, we’re looking at an 8MP sensor for both the rear and front-facing camera. The camera app itself is a bit reminiscent to the one found on iOS, but there are quite a bit more settings to play around with here. 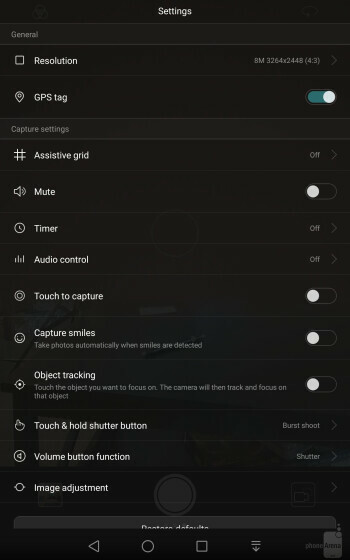 Swiping to the left brings up all of your settings for the camera, including options for adding a countdown timer, audio control, adjusting the resolution of your photos, and more. 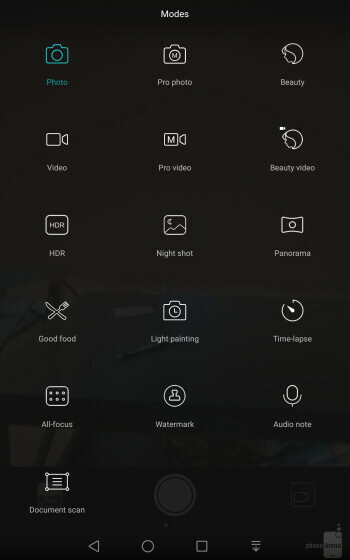 Additionally, swiping to the right will showcase all of the various shooting modes that are included, such as Pro Photo, Beauty, Video, Pro Video, HDR, Panorama, Time-Lapse, Document Scan, and more. So, just what kind of photos is the MediaPad M3 capable of? The MediaPad M3 kicks out considerably better photos than what Asus’s ZenPad 3S 10 was capable of, but that doesn’t necessarily mean that this is a good camera. I was able to capture some photos that turned out looking fairly nice, but there were others I took that ended up looking like an oil-painting. With ample lighting conditions and a steady hand, it is possible to capture passable photos on the M3 that are fine for uploading to social media. However, as soon as the lights start to go down, the already ho-hum quality gets considerably worse. Moving over to the front-facing camera, this is a perfectly suitable camera for Snapchat, Instagram, etc. Details are fairly sharp thanks to the 8MP image quality, and while you’ll likely get overall better results from the front-facing shooter on your smartphone, it will suffice if you’re in a pinch and absolutely have to capture a selfie. Switching over to video quality, we’re met with more of the same. The resolution is capped at 1080p Full HD, and while the video doesn’t look great, it’s also far from the worst that I’ve seen for a tablet in this similar price range. Highlights are fairly balanced when shooting video and autofocus is also fairly quick. Details are just fine, and similar to the image quality, problems really start to arise when light creeps out of your shot. Darker areas in your video are quick to create a lot of digital noise, and this right here is the primary pain point for videos on the M3. 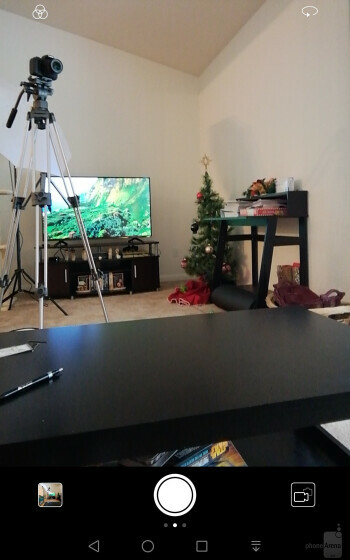 In short, while it will get the job done if you absolutely do insist on recording video with your tablet, results will likely be far better with your smartphone. 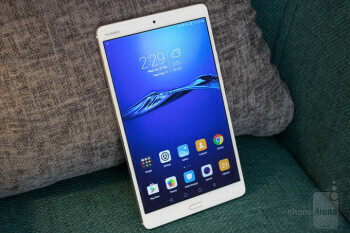 Huawei is making a pretty big fuss about the MediaPad M3 and its multimedia experience, and with the word “media” in its name, you kind of expect the M3 to truly excel in this department. I already talked intensively about the display on the M3, and that certainly does contribute to a wonderful viewing experience while playing games or streaming video content. Colors are both punchy and accurately represented, creating for a display that begs to have content consumed on it. However, as you know, a screen and its multimedia experience is only as good as the speakers that accompany it. Huawei partnered with Harman Kardon to create the best possible audio experience for the M3, and for the most part, that partnership pays off. The MediaPad M3 features stereo audio thanks to dual speakers that are positioned on both the top and bottom of the tablet, and after some extensive listening sessions with the M3, I can safely say that this is a very solid audio setup. The dual-speaker system on the M3 gets ridiculously loud, and while I greatly appreciate the ample volume that’s present here, turning the volume settings up to the max does deteriorate the overall sound quality as a whole. Higher volume results in the M3’s speakers sounding a bit dirty and not as clean as I would like, meaning that these speakers definitely favor loudness as opposed to overall quality. If you prefer to listen to your tunes though a pair of wired headphones, Huawei and Harmon Kardon have you covered here as well. The DAC that’s present in the MediaPad M3 is the AK4376 D/A converter that’s made by Asahi Kasei Microdevices. I’m not an audiophile by any stretch of the imagination, but what this DAC means is that the M3 should be more than capable for driving a premium pair of wired headphones via the 3.5mm audio jack. Last but certainly not least, let’s talk about battery life. Huawei packed in a 5,100 mAh unit into the MediaPad M3, and it results in a pretty solid setup. Heavy and continuous usage on the M3 will result in a screen-on time of around 4 and 1/2 hours, whereas more subdued and normal use should see the M3 squeaking out just under 9 hours of use without needing to top up. And, when it does come time to charge the M3, Huawei’s own quick charging solution keeps things relatively speedy. 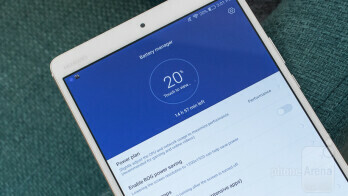 It took the MediaPad 159 minutes to charge from 0 to 100-percent, and considering the large nature of the battery inside of the device, that’s quite impressive. 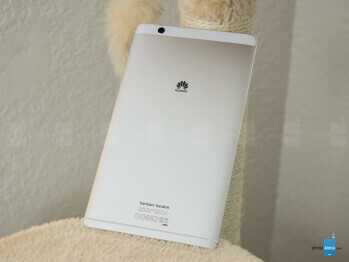 There’s no doubt at all the Huawei has crafted a good-looking tablet. The construction of the MediaPad M3 is one of the better ones you can find for a device in its class, and its dimensions keep it both thin and lightweight at the same time. In addition to the M3’s build, the display and audio setup is also very well-executed. Sound quality does tend to get a bit harsh when listening at higher volumes, but aside from that one qualm, the multimedia experience is fantastic on the aptly-named MediaPad. However, when talking about things such as performance and the M3’s software situation, things get a bit murky. While benchmark tests provide clear evidence that the Kirin 950 is an extremely powerful processor, poor optimization for the chipset results in somewhat lackluster real-world performance. Simple tasks run perfectly fine, but between slow animations and a lukewarm experience while playing graphically intensive games, the outcome you get while using the M3 is a bit of a mixed bag. Certain operations run like butter with no issues at all, but other situations can cause the M3 to feel slow and cheap. As for the software experience, EMUI 4.1 is not a good skin for Android. Some of the tweaks that Huawei’s made are beneficial to the overall user experience, but the vast majority of the changes feel as if they were made for the worse. 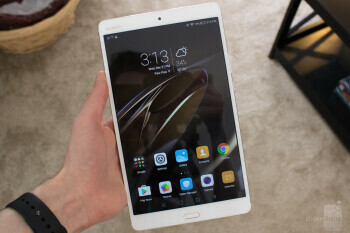 While a lot of this will be resolved once the MediaPad M3 gets the update to Android 7/EMUI 5.0, no official word from Huawei as to when this update will actually take place does create for a bit of uncertainty for the future of the tablet’s software. Bundle all of that together, and you get a hefty handful of pros and cons with the Huawei MediaPad M3. There isn’t any doubt in my mind that this is a great little tablet for multimedia consumption, and while the price of $299 with 32GB of storage is a solid value ($349 for 64GB), there are other options out there for either the same or a bit less money that offer a more well-rounded experience. 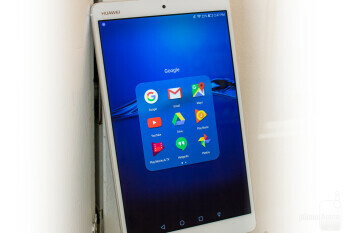 Samsung’s Galaxy Tab S2 is currently selling for just $249, and while it is a year older than the MediaPad M3, it’s still considered to be one of the best Android tablets around. And, if you’re willing to spend $100 extra, the 32GB variant of the Apple iPad Mini 4 retails for $399. As a matter of fact, the still great iPad Mini 2 is currently being sold at $269 from Apple, so that continues to be a great budget option for a tablet.